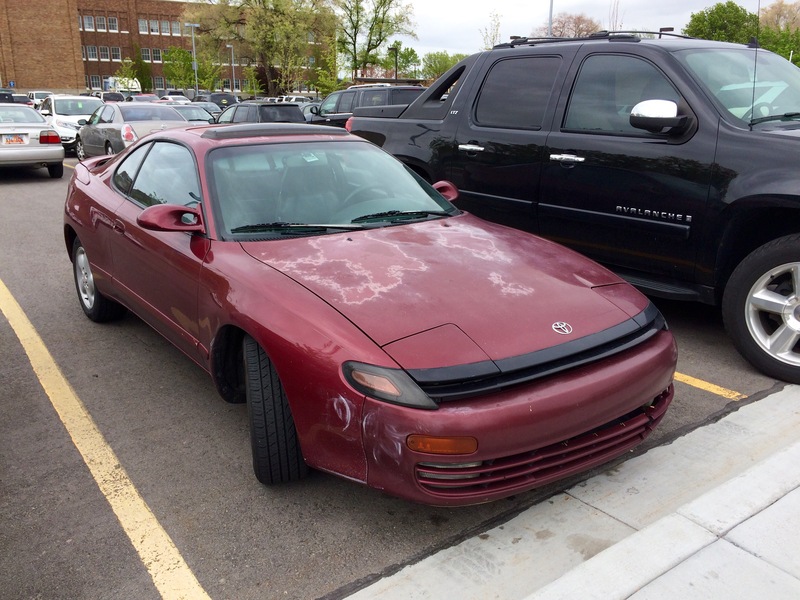 The 4th generation Celica has some really nice design elements, but the ugly roof and pillar treatment is really a horrible distraction. 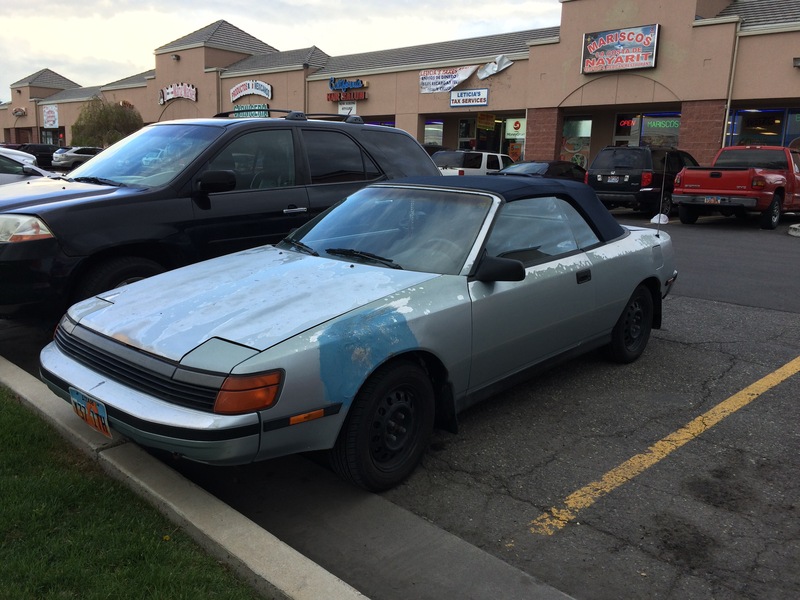 Fortunately, Toyota commissioned ASC to chop the horrible roof off the Celica coupe and gave us the ﻿convertible version. 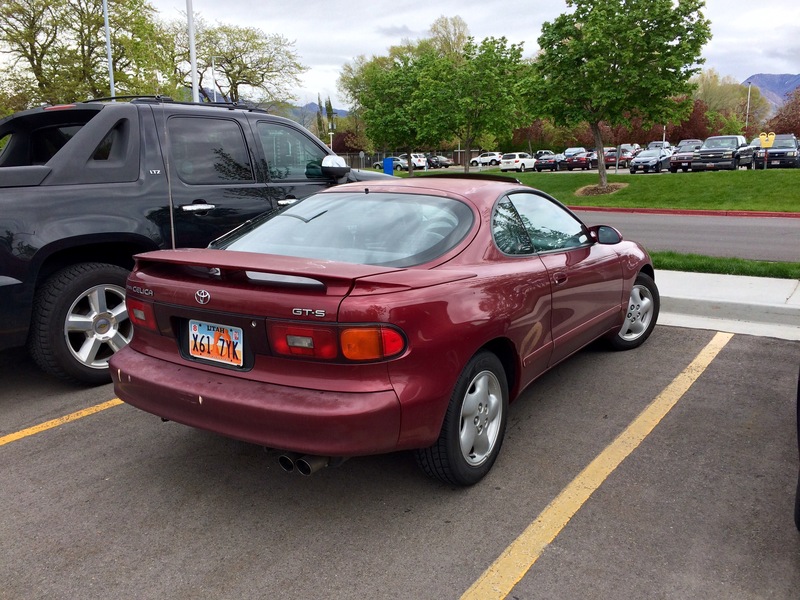 The 5th-generation Toyota Celica shares a lot of design cues with the 4th-generation (which I’m biased to), but it’s as if every part of the 4th-gen design was rounded out, taking what looked like a very ’80s car and giving it a very ’90s look. Supposedly the rounder design also had the benefit of adding strength without increasing weight. 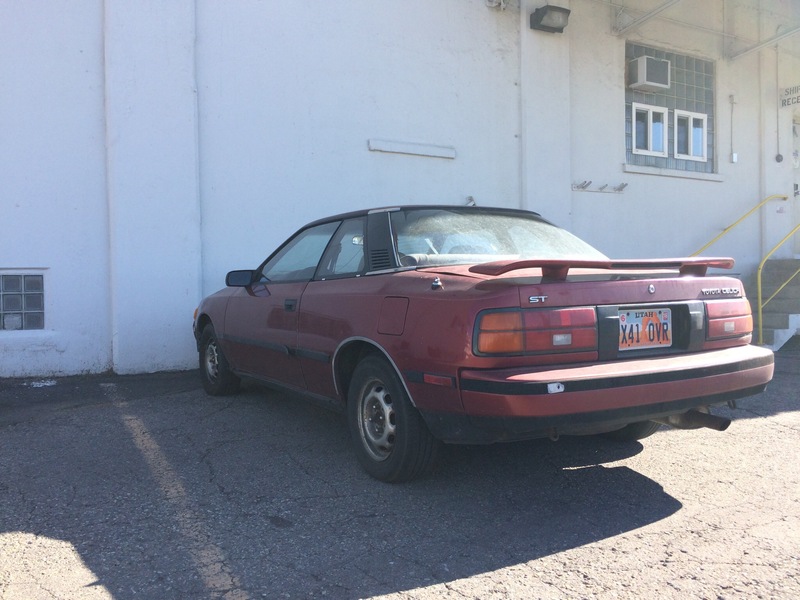 It’s always fun to me to see other 4th-generation Toyota Celica convertibles regardless of their condition, since they aren’t very common anymore. This one is often parked in front of a row of shops near my house, and I finally stopped to shoot some photos of it. 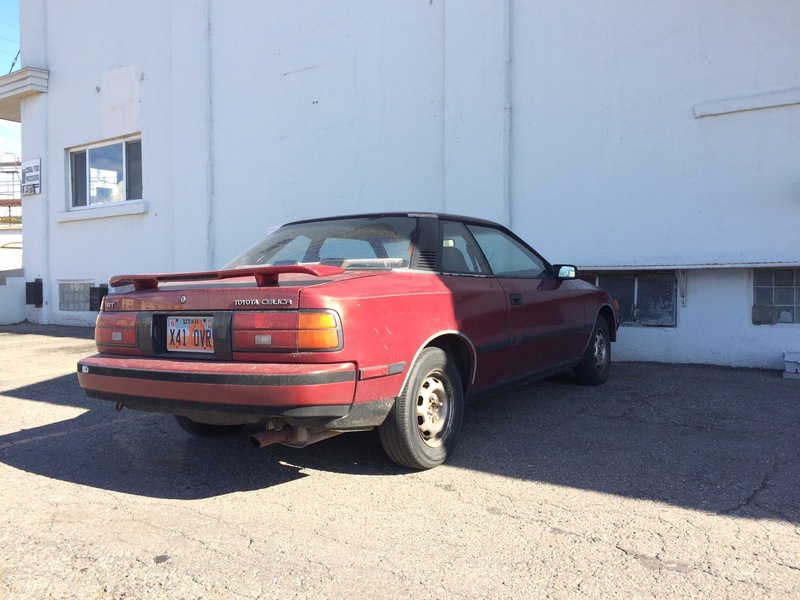 The 4th-generation Celica was produced from 1986-1989, but the convertible was only available from 1987-89. 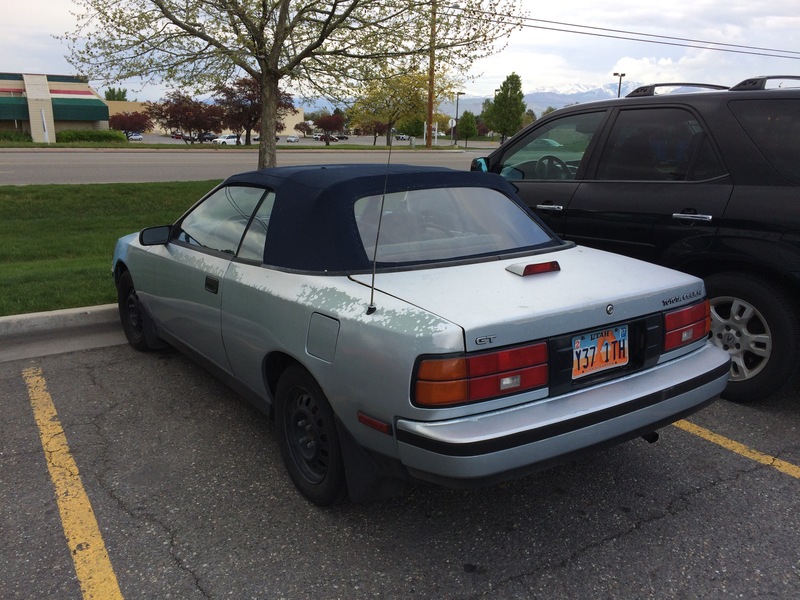 Toyota made slight changes to the grill, turn signals, taillights, and interior in 1988, making ’87 convertible models like mine somewhat unique. 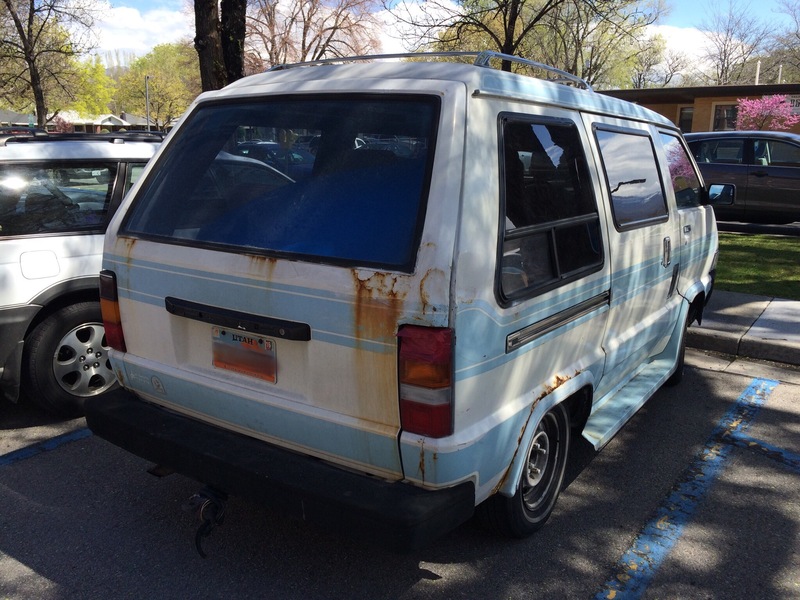 This example has the later style features, and according to ToyotaReference.com, 1989 was the only year the “Ice Blue Pearl” paint color was offered. 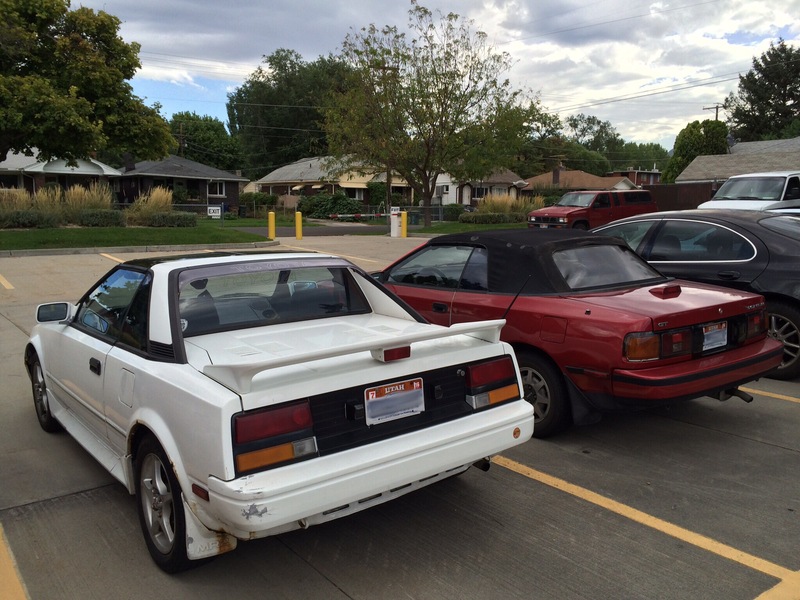 From what I’ve gathered over the years I’ve owned my Celica, the only other colors offered on the convertible were white, black, and red. Spotted this old Toy in the parking lot of Smith’s Food a while back. 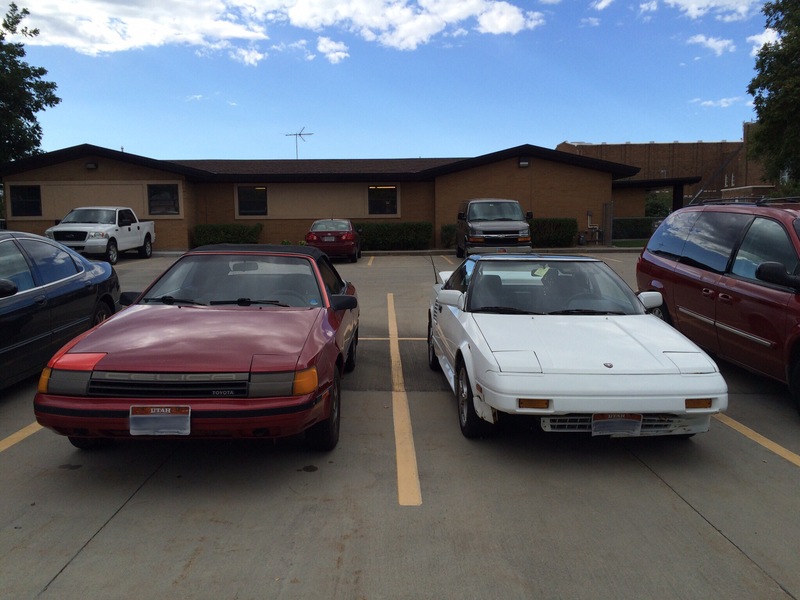 My Celica convertible parked next to a 1986 MR2. 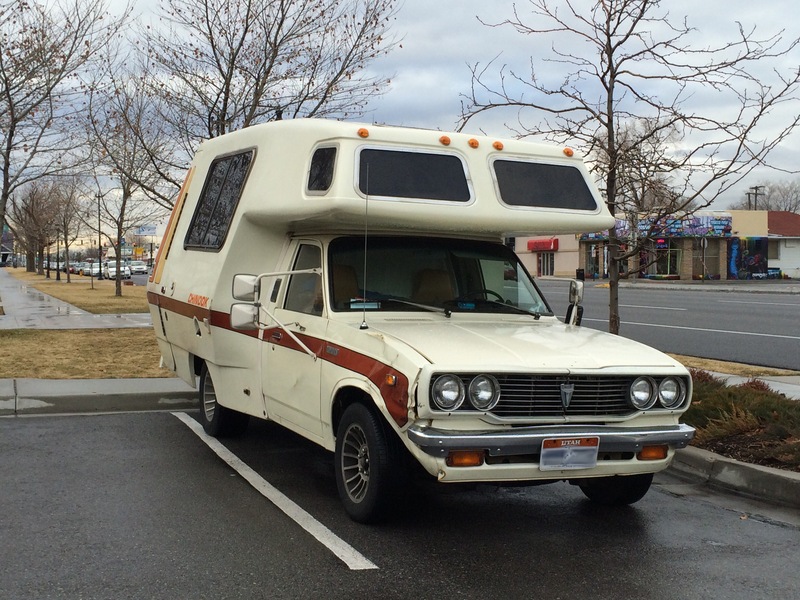 Toyota’s first van for the North American market was a version of the MasterAce van sold in Japan. 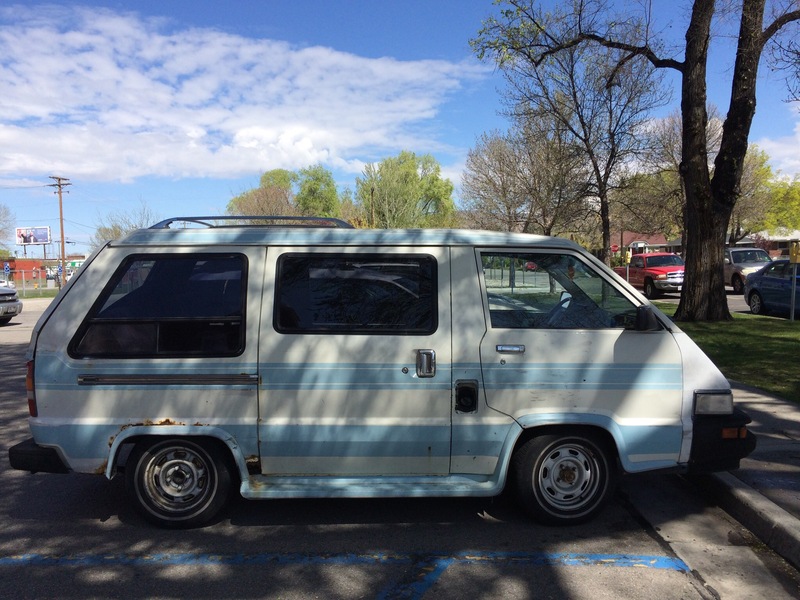 Officially it was simply called Toyota Van in America, though the whimsical “Wonderwagon” name could be found in advertising materials. 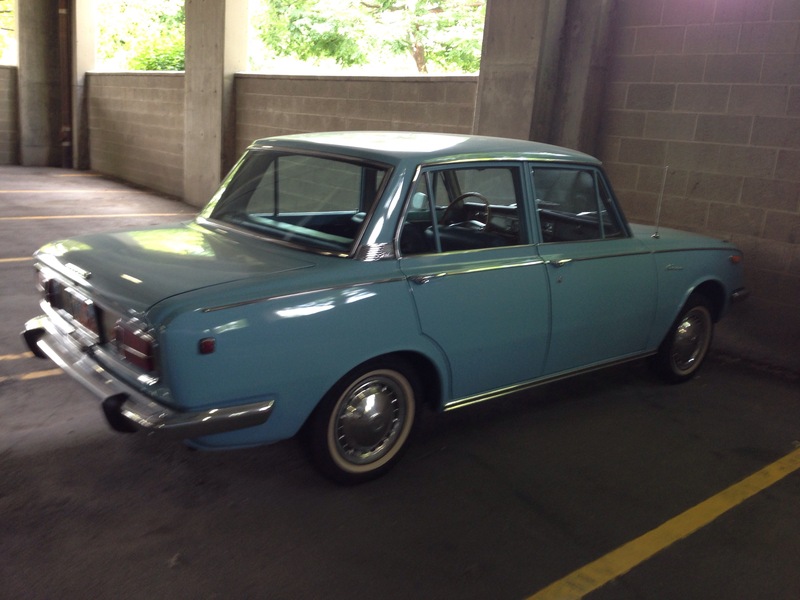 Unfortunately, like many Japanese cars from the 1980s this example is pretty rusty. 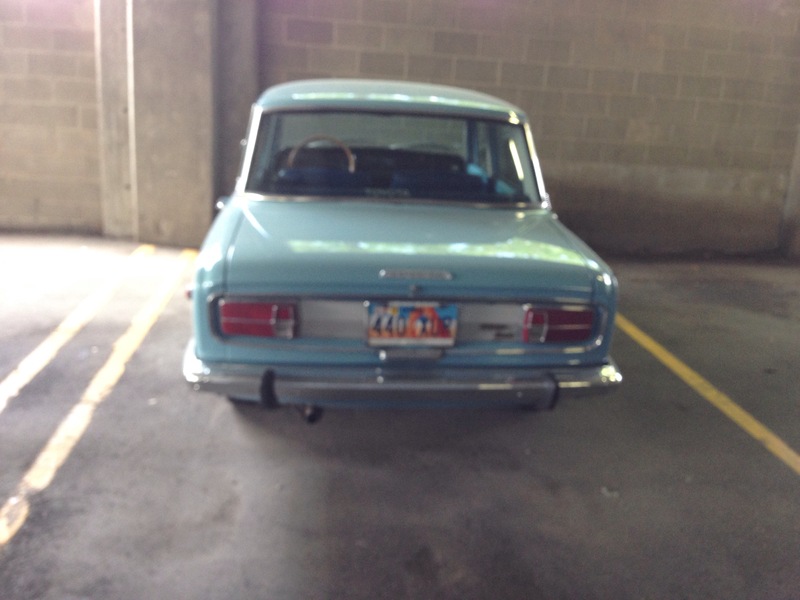 The awesome baby blue stripes and thin white walls more than make up for the rust, though.